Jenna Brumm's passion for horses began over 25 years ago when she rode horseback for the first time. She has been a professional instructor & trainer for over 15 years. Jenna is a proud graduate of the Western Dressage Association's Advanced Train the Trainer program. 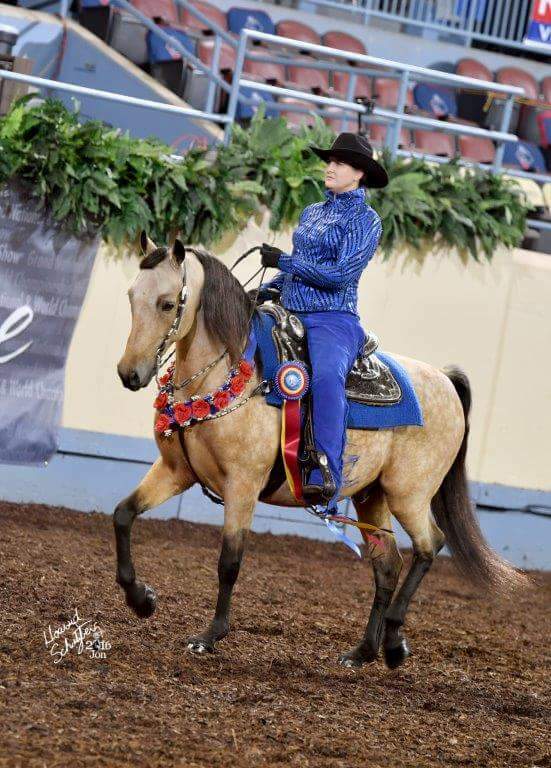 She has studied extensively with the best trainers & instructors in the country including leading Natural Horsemanship trainers, Centered Riding instructors, & Dressage riders.. She has won titles in multiple disciplines from World Championships, World Show Top Tens, Regional USEF Horse of the Year awards to local circuit year end awards all with horses trained by herself. Jenna is also very involved her the local horse community by promoting good sportsmanship & horsemanship. She is active with the Douglas County Trail RIders & Kansas State Horse Show Circuit. Jenna is also the creator of the Western Dressage Association of Kansas.. Lessons, Training, & Clinics offered at Moriah Training Center located just West of Tonganoxie KS or at Brumm farms located in Baldwin City KS. Teaching all breeds, all disciplines, & all levels of riders. Lessons offered for riders age 7 & up. Improve your balance, control, & confidence so you can effectively communicate with your horse. Jenna's teaching style has been described as relaxed, fun, & easy to learn. Students are taught all aspects of horsemanship, from grooming to riding. Lesson horses available. Haul ins welcome. Private or semi private. Weekday & Weekend spots available. ​Group rates available. Can travel to your facility for additional fee. Creating soft & correct moving horses using dressage & natural horsemanship techniques. Training offered from the finished horse to colt starting. Jenna welcomes all breeds & all ages of horses. She uses gentle methods to gain trust & confidence in the horse. The result is a happy, willing horse that is useful in many different disciplines. Limited training spots available. Rates are pro-rated. Please contact Jenna for current rates & availability. $50 deposit required to hold training spots. Clinics offered from basic horsemanship to Western/Cowboy Dressage & more. Jenna is fully insured with experience to come to your facility or host your own private clinic at MTC. She has taught all levels of riders from Girl Scouts to college equestrian teams. Safety is her #1 priority. Affordable rates. Discounts for Girl Scouts, Boy Scouts & 4-H members. ​ Moriah Training Center is located just West of Tonganoxie KS off of paved roads. MTC offers full board in a quiet & friendly setting. Amenities include lighted indoor arena with mirrors & bleacher seating, outdoor sand arena, round pen, 20+ large stalls cleaned daily, heated washrack, big & grassy turnout pastures, heated/AC lounge area with viewing of indoor arena, trailer parking, restroom, & more on 50 acres. Owners live on site. Brumm Farms is the family's private farm located outside Baldwin City KS.